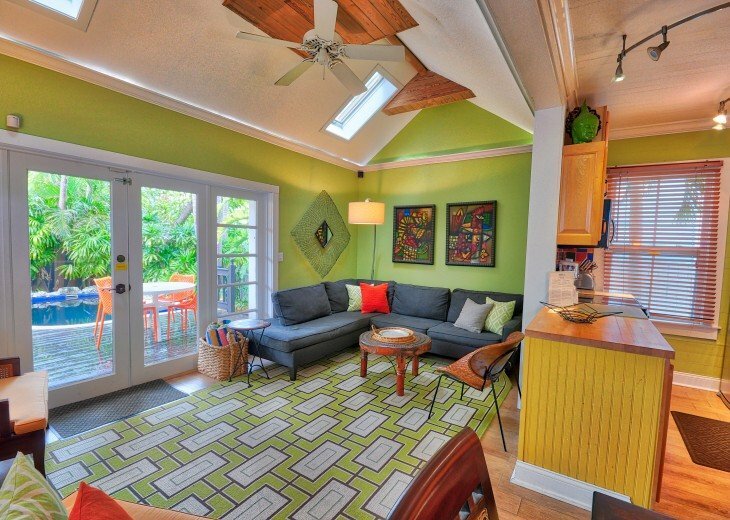 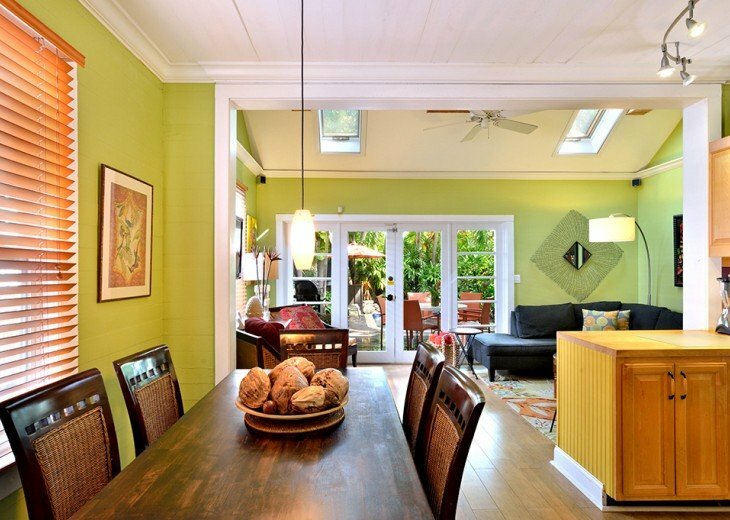 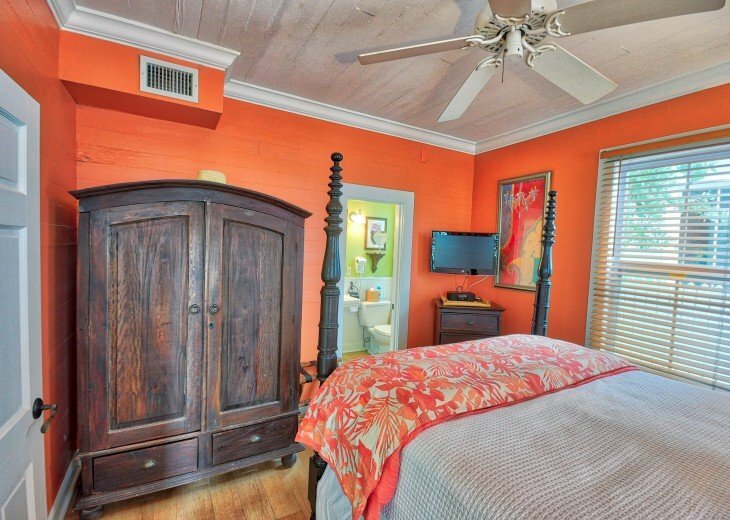 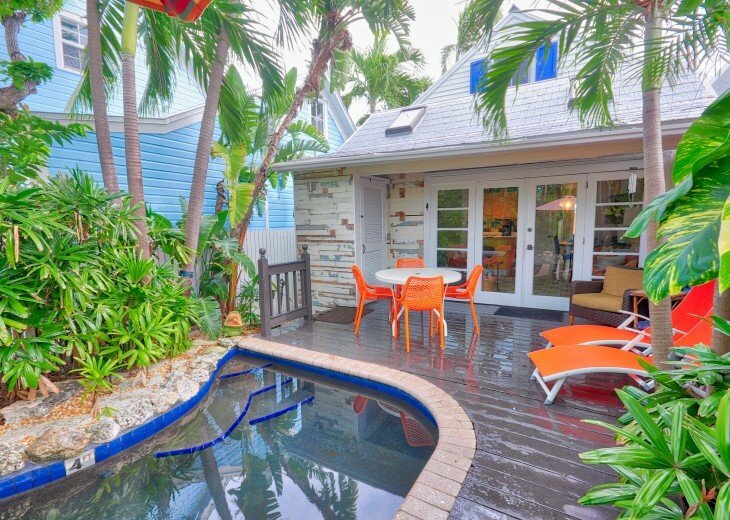 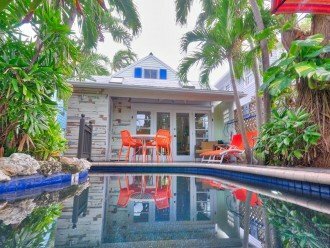 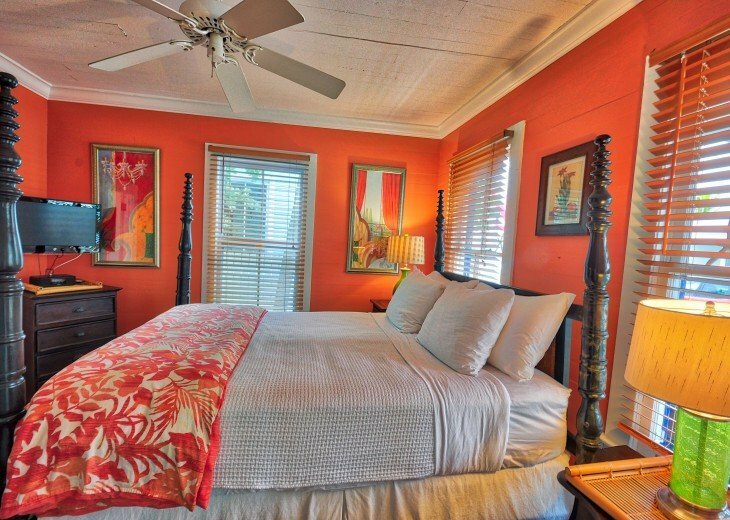 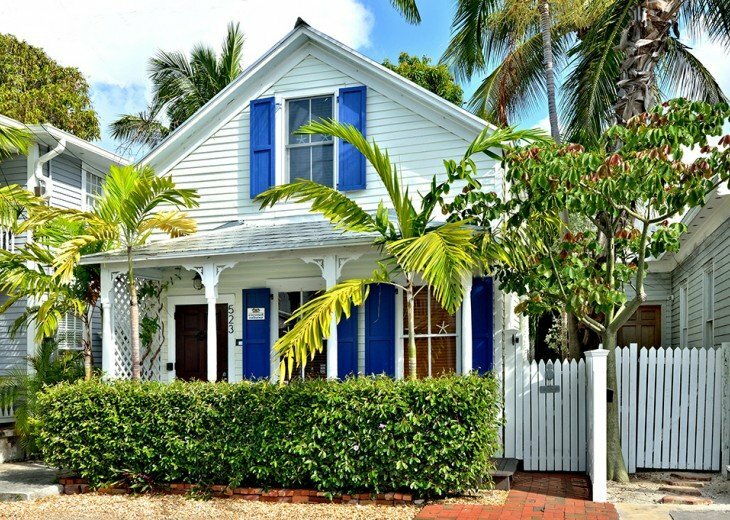 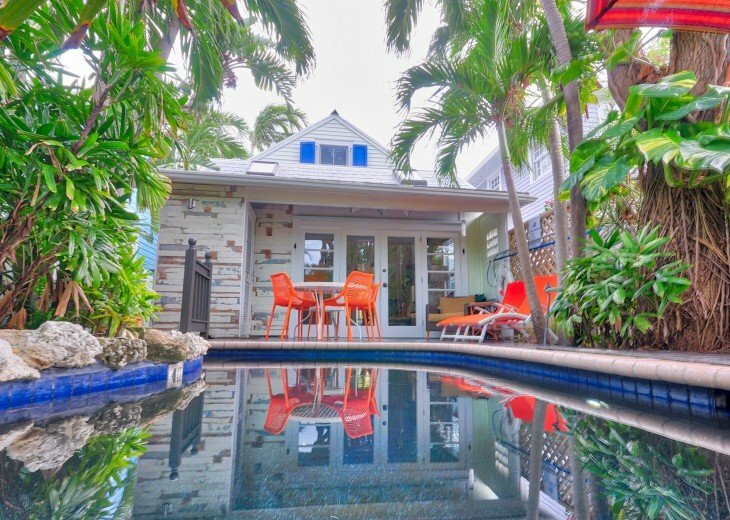 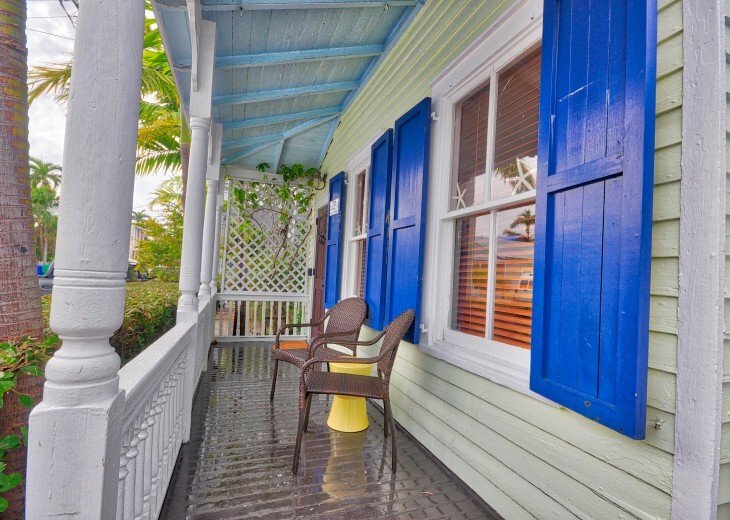 A quintessential "Old Town Key West" home, located in the Historic District and just one half a block off Duval Street. 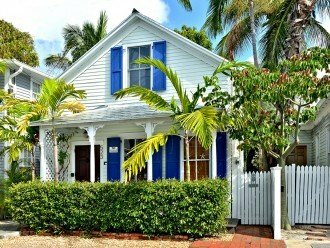 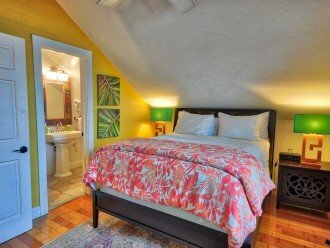 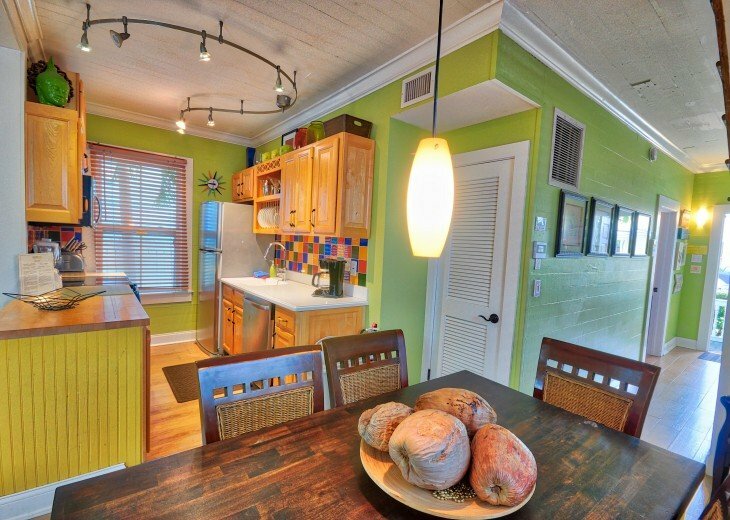 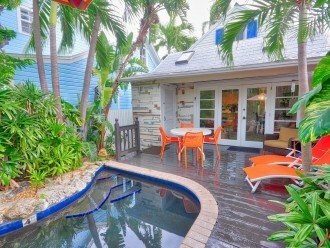 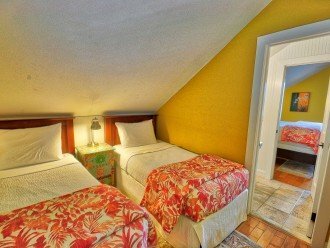 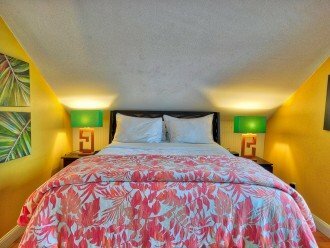 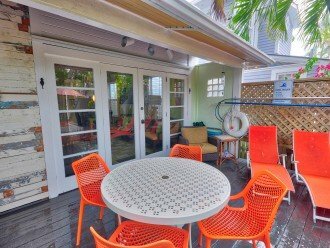 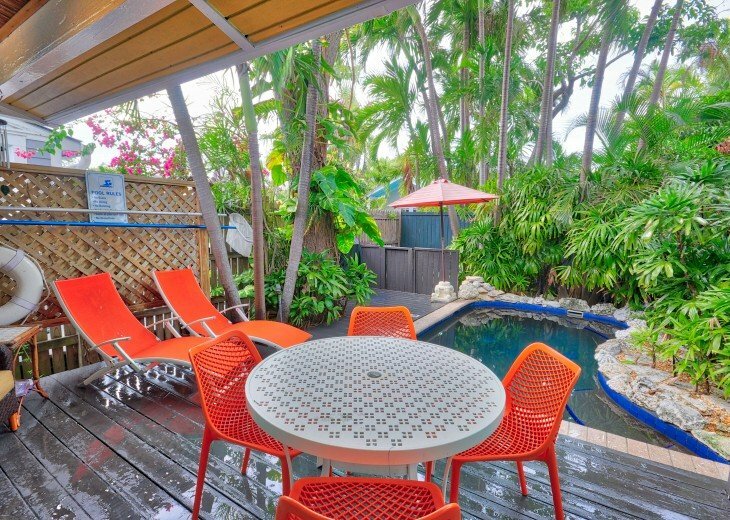 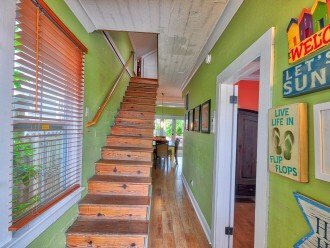 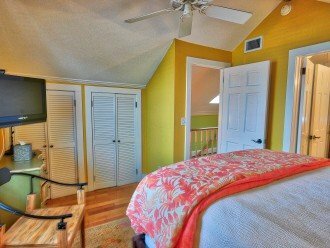 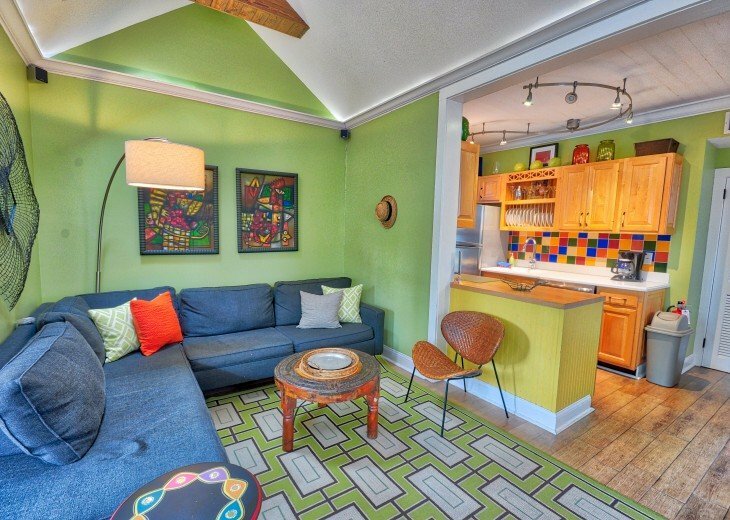 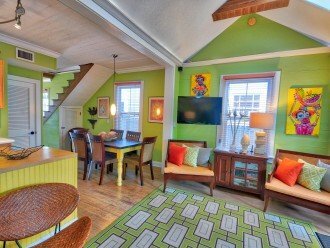 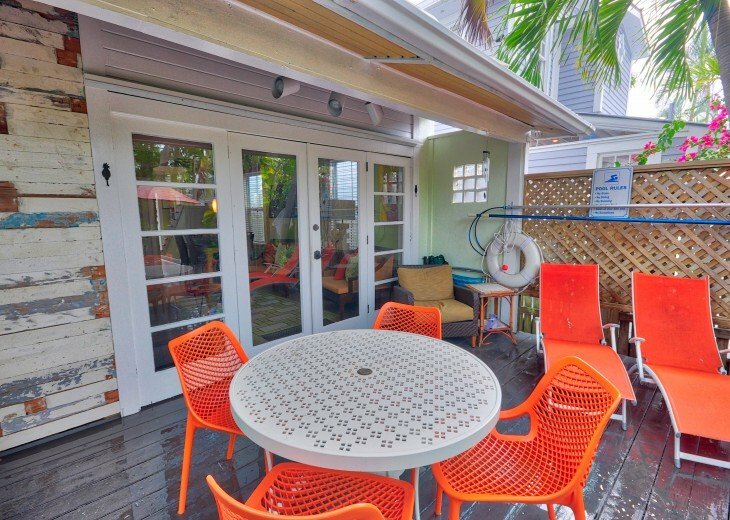 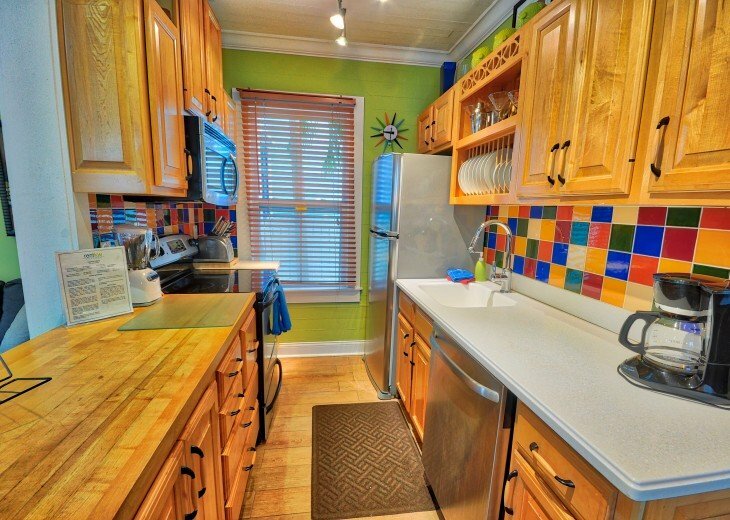 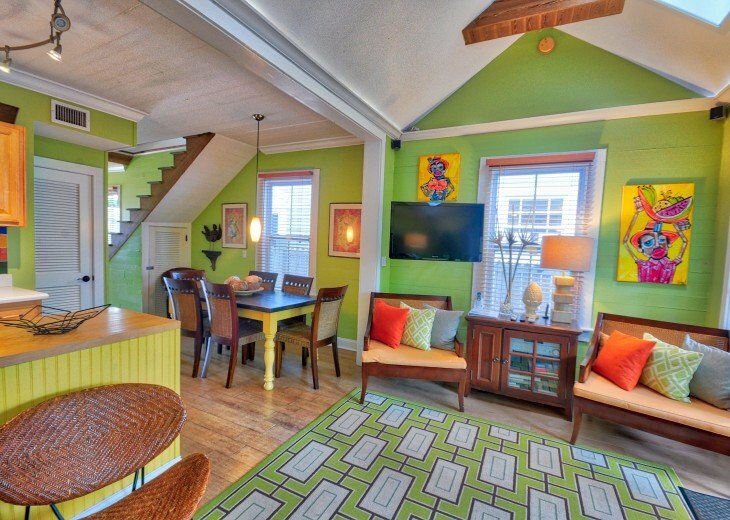 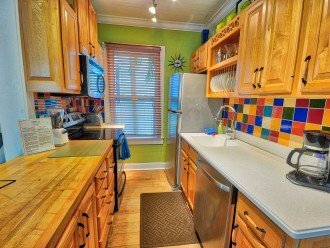 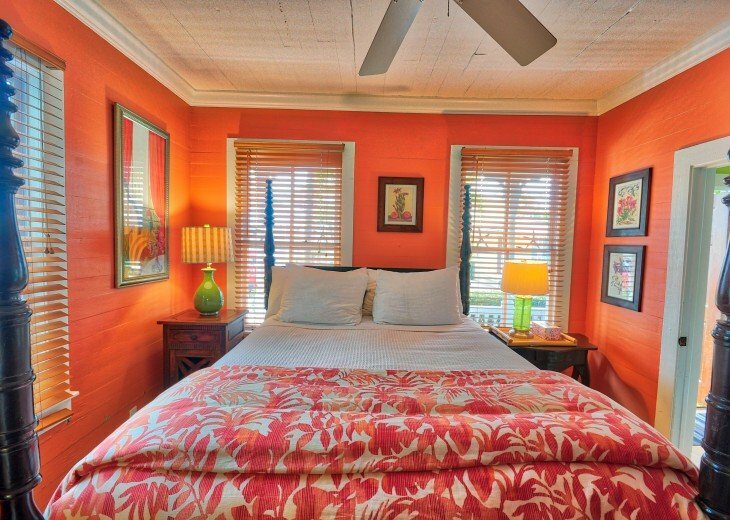 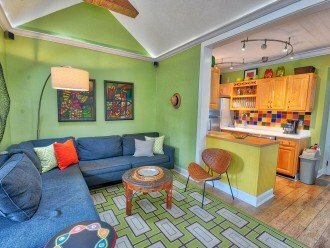 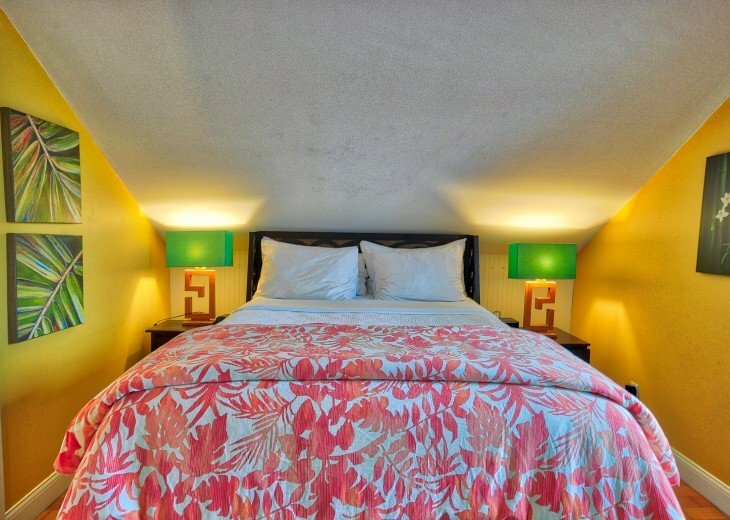 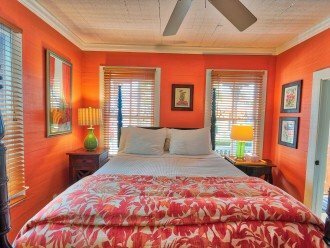 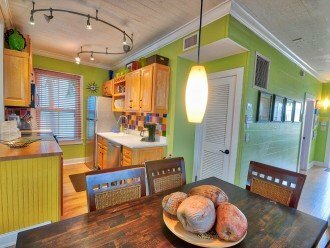 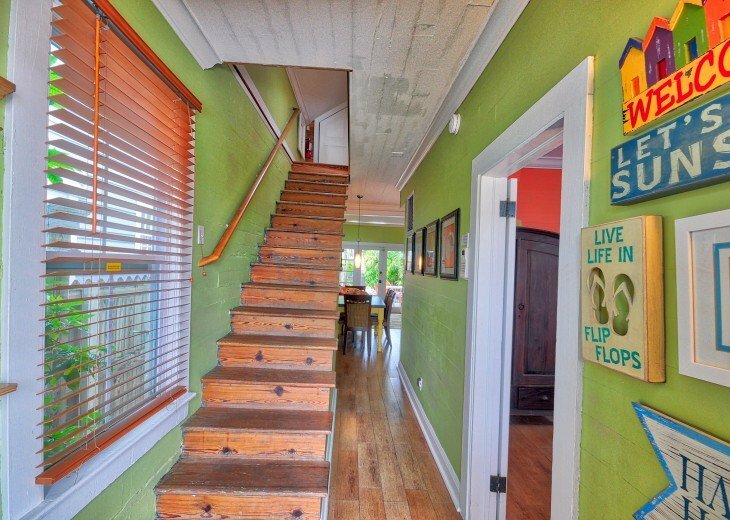 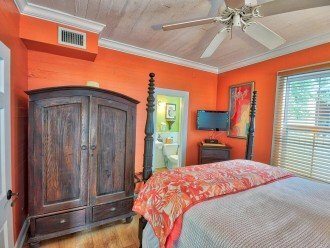 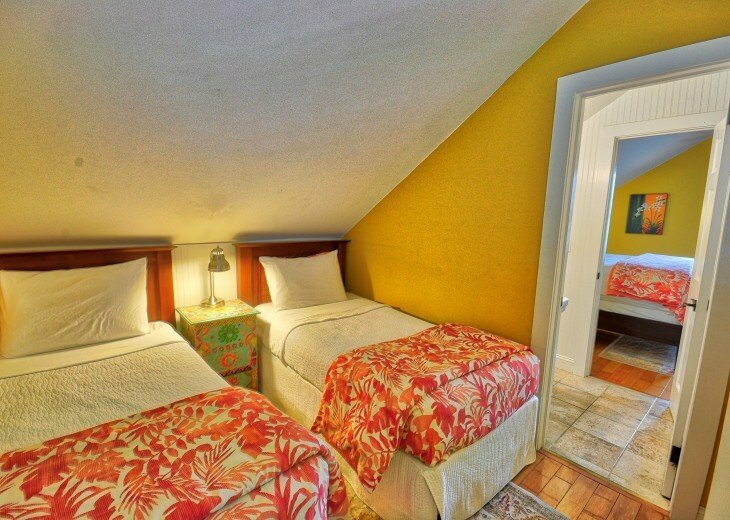 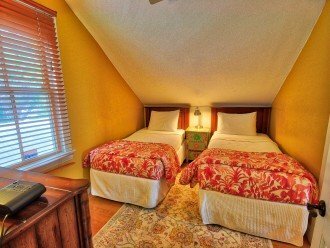 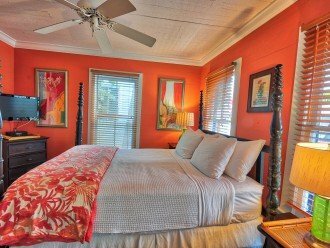 This charming home is within walking distance of dozens of restaurants, the Atlantic Ocean, the Southernmost Point and the sunset pier. 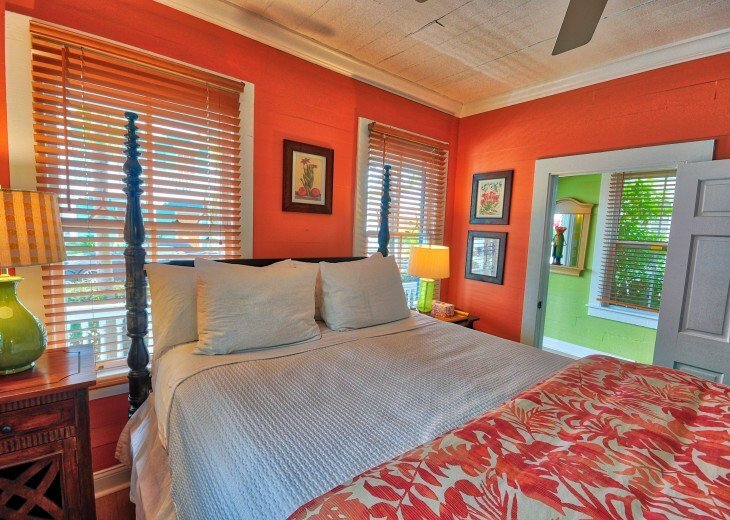 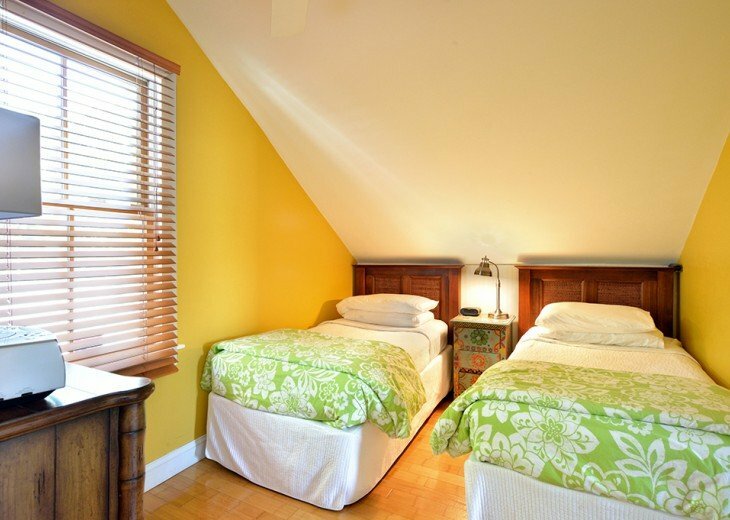 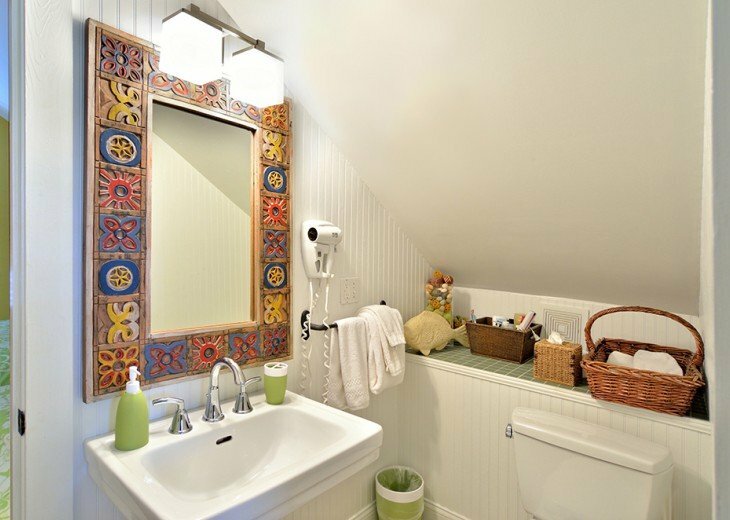 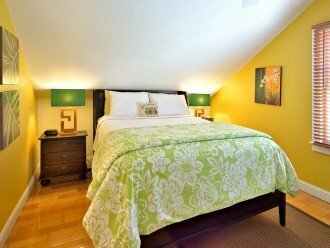 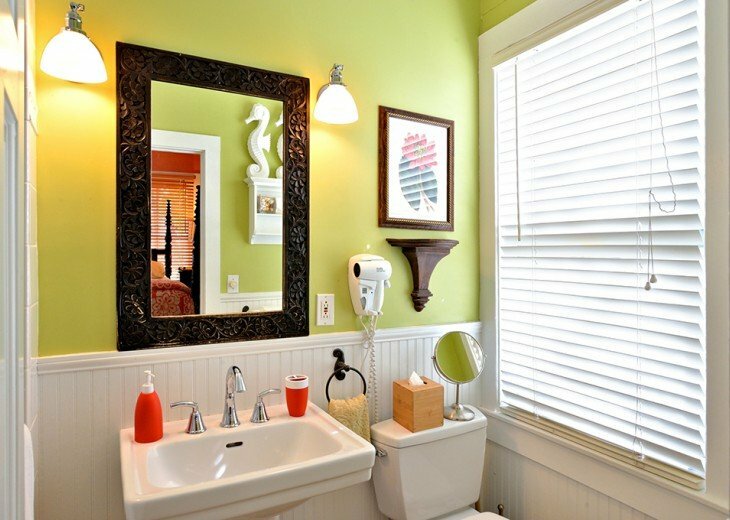 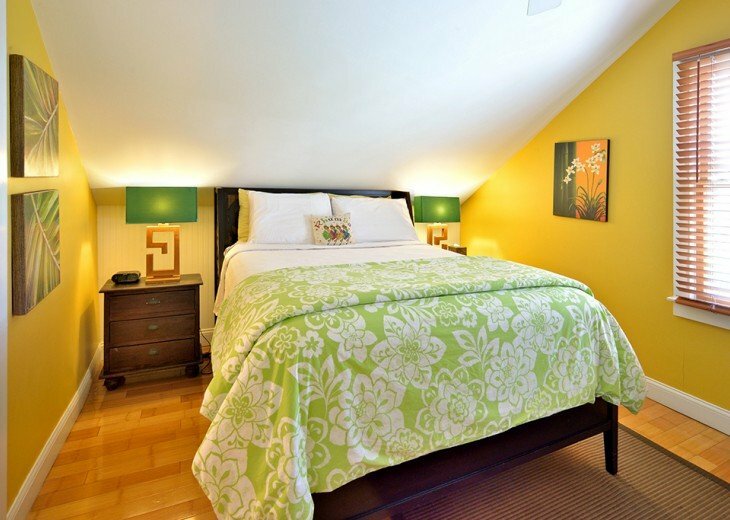 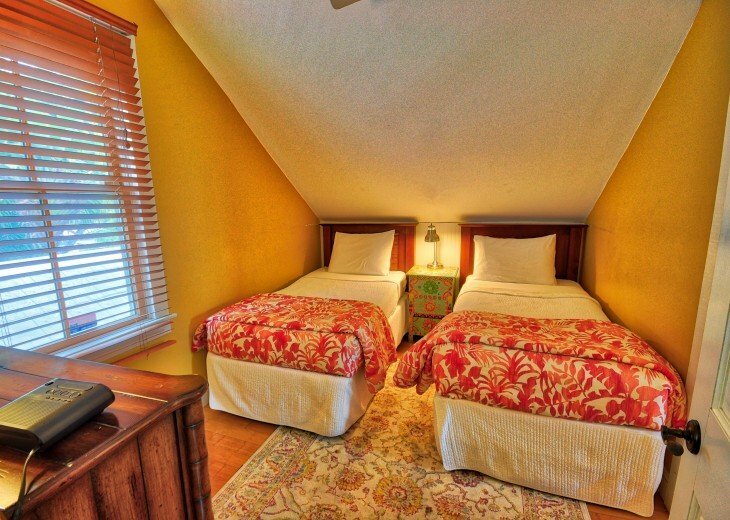 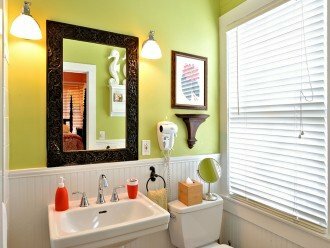 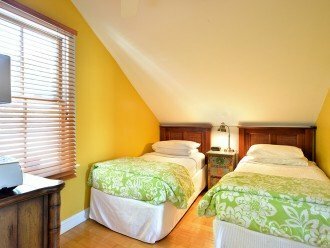 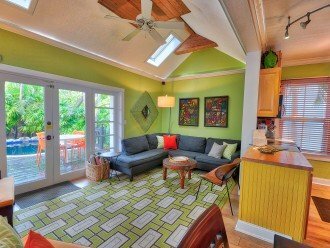 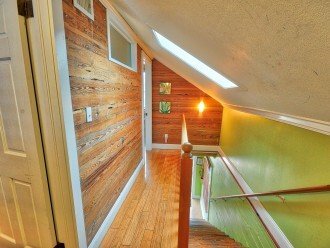 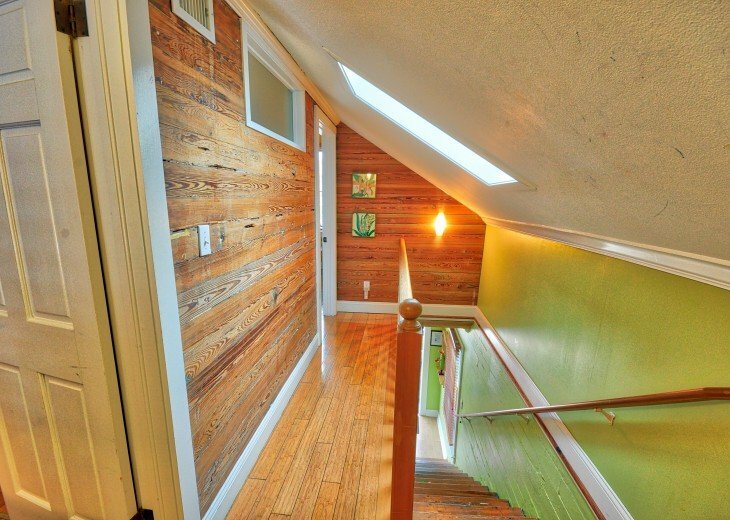 Lovingly restored and cared for, this two-story historic home is beautifully decorated with fresh, citrus colors and features bamboo hardwood floors throughout. 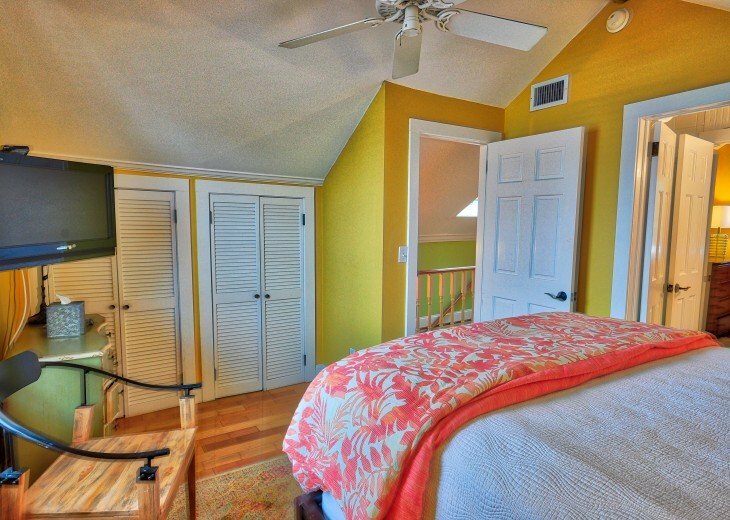 The master bedroom is on the first floor with en suite bath. 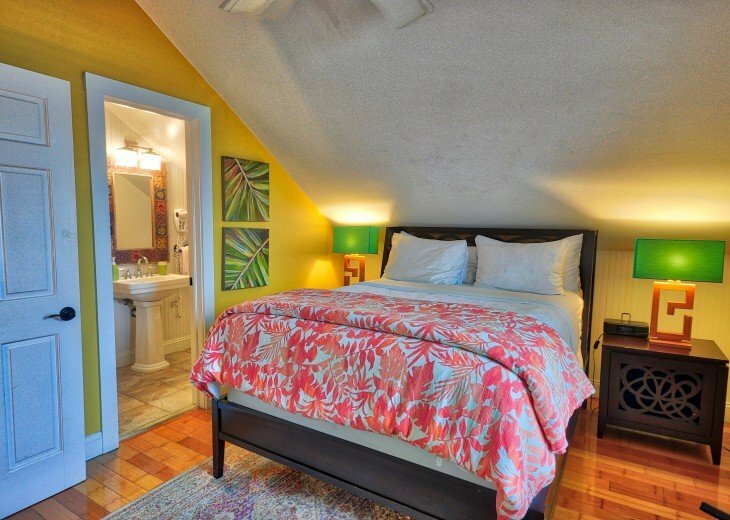 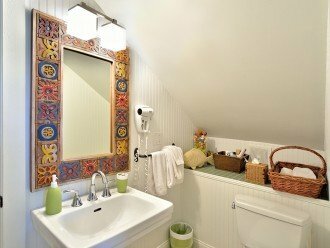 Upstairs, two more bedrooms adjoin the second bath. 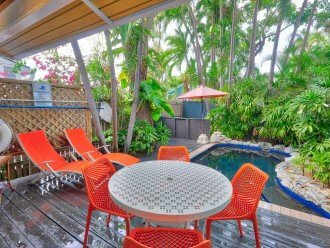 The open living area has a vaulted ceiling with skylights and French doors that open to your own private deck and garden with a heat-optional, lagoon style, dip pool surrounded by lush vegetation.There is an outdoor table and nearby gas grill for outside/open air dining.